Tonton Bicha says: When you have friends in high places, try not to put them in a difficult situation. Many people in Haiti think having friends in high places means they can do whatever they want and you will get away with it. To those people, Tonton Bicha has a message for you. "When you have friends in high places, now is the best time to say to yourself: let me not put my friend in a difficult position where he cannot even defend me." 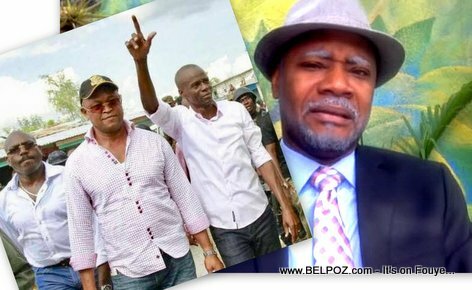 Haitian actor Daniel Fils-Aimé alias Tonton Bicha made these remarks after he found out Yves Leonard, owner of Kingdom Hotel in Haiti and close friends with Haitian president Jovenel Moise and Prime Minister Jean Henry Ceant, inflicted some serious injuries to his concubine Nice Simon and is now a fugitive from justice, accused of a crime and hiding from law enforcement. This certainly puts the president and the prime minister in a difficult position. The government had to come out publicly and condemn his actions especially after the incident drew lots of media attention. Nice Simon is a famous Haitian actress and the current Mayor of the city of Tabarre. Daniel Fils-Aimé made reference to Jean Baptiste Antony Dumont, the older of Senator Patrice Dumont who is incarcerated for his involvement in a child sexual abuse case, "and there is nothing the Senator can do for him," Bicha said. "So I send this example as a clear signal to everyone who have friends in high places to not put these friends in difficult situations. Fè respè w," he said. « Domestic Violence: Tonton Bicha sends a message to all Haitian wife beaters out there!